We all need a bin in the kitchen, but I’m guessing few of us really spend too much time choosing one. If you did, you’ll probably get round to considering the Vipp Bin. 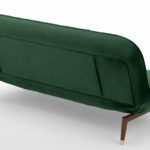 It was originally designed in 1939 by Holger Nielsen, for his wife’s hairdressing salon and it’s been in production in varying shapes and sizes ever since – the size being the main difference between the range items. Each one is made of rubber and powder-coated stainless steel – the colour usually being cream, white or black (unless a limited edition colour has been made available). 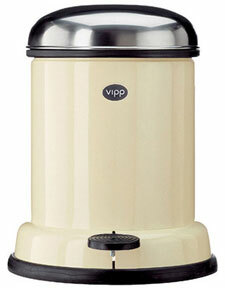 The one pictured here is the Vipp 14 pedal bin, which has an 8-litre capacity and retails for around £145. More than your average Brabantia, but likely to be the only bin you’ll ever buy.